Real estate made simple is a lightning fast and light weight PHP script, equipped with an API using which you can easily hook to its inner functions. You can launch a real estate website within minutes. 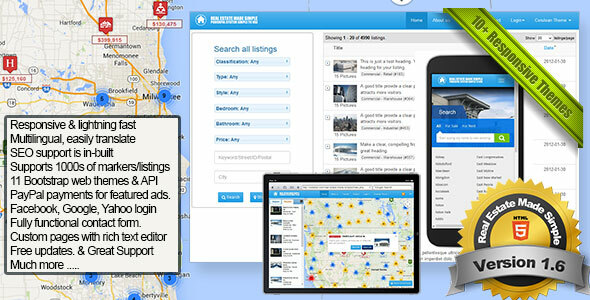 The demo has 5000+ listings but loads within 2 seconds. You can also use it to earn passive income by promoting adsense or similar ads.